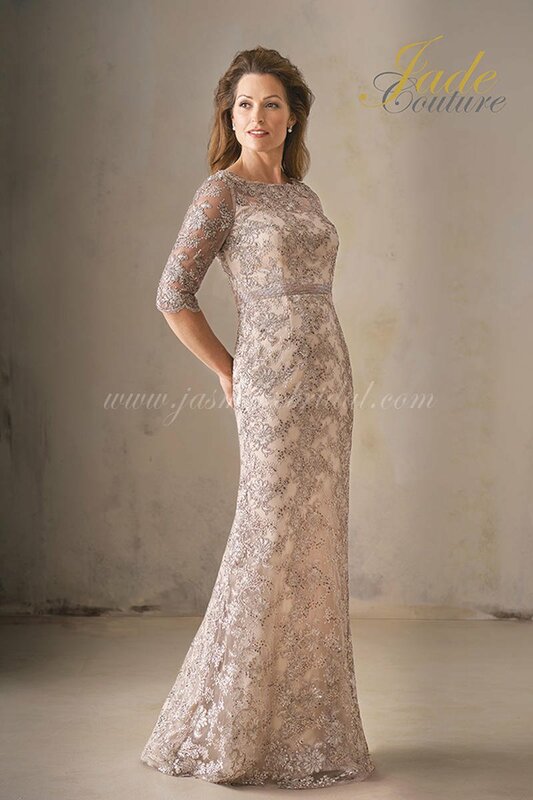 Timeless Mother of the Bride Dress made with Chelsea Lace with Stretch lining. Beautiful boat neckline with a scalloped V back. Scalloped lace 3/4 sleeves and beaded belt attached to the waist of the MOB dress.